A stunning personalised ceramic piggy bank featuring butterflies, bees and ladybirds is the perfect gift for new babies as well as christenings and birthdays. 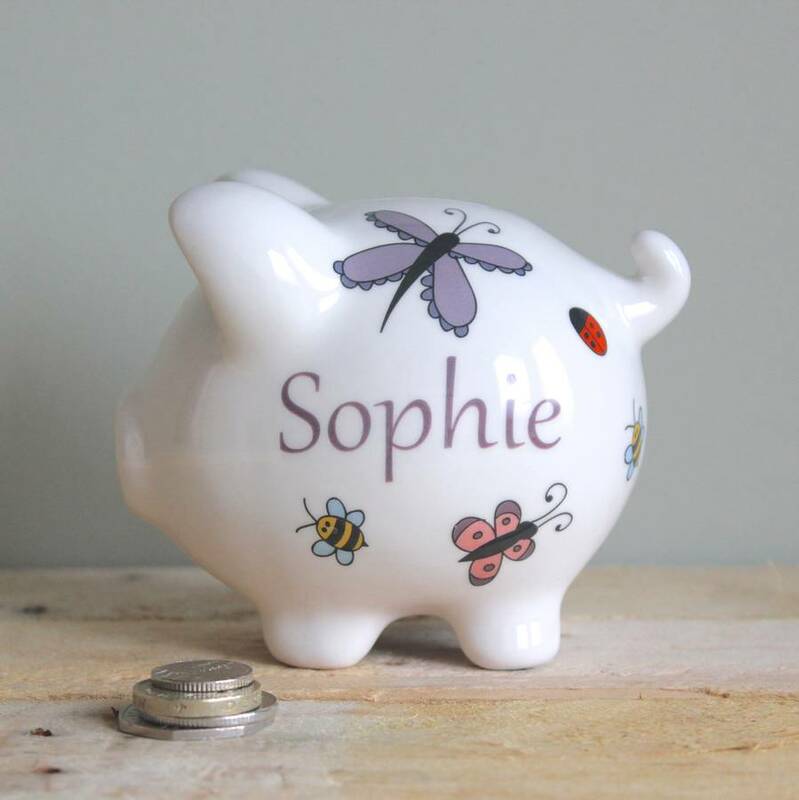 Kids love our personalised piggy banks, and our butterflies, bees and ladybirds design is one of our most popular. Colurful, cute and so appealing, it's a gorgeously simple but effective design. Piggy Banks are perfect for so many occasions - christenings, birthdays and new baby gifts. We also find them very popular as thank you gifts for bridesmaids and page boys. 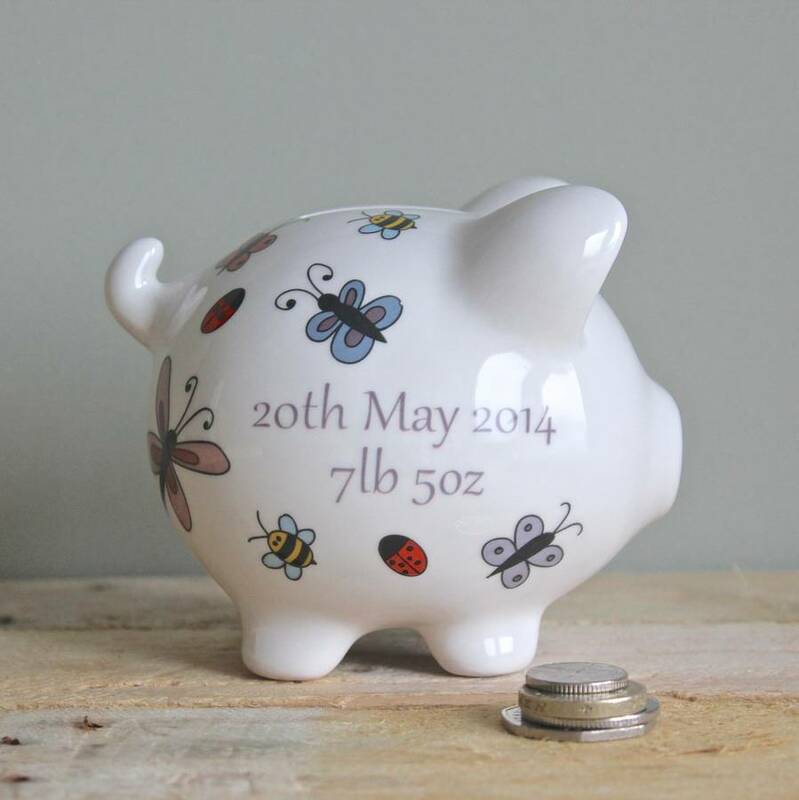 This personalsied piggy bank features beautiful butterflies, buzzing bees and lovely ladybirds.